The victims' families will receive the medal for the young cadets that a least one of them tried to protect fellow students during the shooting. 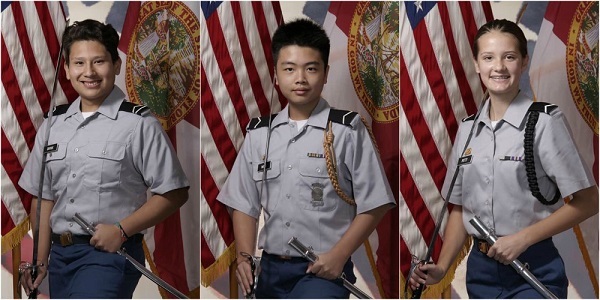 According to eyewitnesses, junior cadet and 15-year-old freshman, Peter Wang, held the school door for others to evacuate during his final moments. Peter will be buried in full uniform as he was wearing his gray Junior ROTC shirt at the time of the shooting. Peter has also received the honor of being excepted to West Point Academy posthumously – the academy Peter desired to go to. Alaina Petty, 14, was awarded with her medal at her memorial service on Monday with more than 1,500 people attending the service. Martin Duque, 14, will be honored with the postpartum medal on Saturday. Families of both young cadets expressed their grief over the tragic loss that is expected to bring to changes on gun background checks and weapons regulations in the country. Bankruptcy Laws in Wisconsin: Find out what are the Wisconsin bankruptcy laws and what to do in case of bankruptcy. Learn more about the Mississippi judicial system. Find out how the judicial system in Mississippi operates! Why You Should Not Date Married Men! Federal Firearms License: How it Works and How to Obtain it!